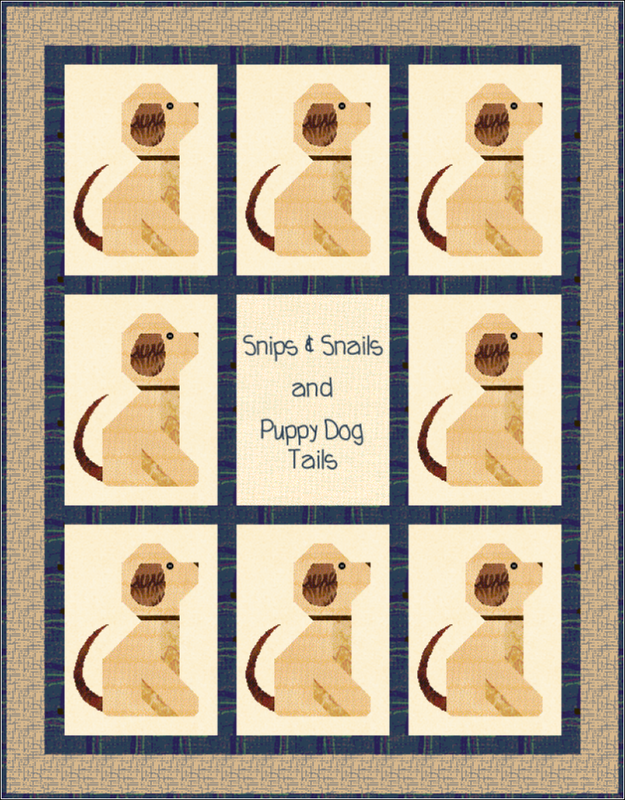 This "Puppy Dog Tails" quilt is almost as cuddly as a brand new puppy. With buttons for eyes and dimensional floppy ears, the little boy in your life may have found a new best friend. Size: Approximately 40" x 49"
Applique: Yes. The puppy tails are appliqued. Embroidery: Yes. The "Snips & Snails and Puppy Dog Tails" writing is embroidered. Embellishments: Yes. Embellishments include buttons for eyes and three dimensional floppy ears.